Unleash your creativity… plan your own local actions and events… spread the word! Celebrate this important event with the people of Mexico to protect the most sacred of Mexico’s many indigenous gifts to the world: corn. Show support for their intensified social movements and resistance against government and corporate power. Commemorate this day by celebrating the special seeds and foods that represent your own cultural identity. When we save our seeds, we’re saving the seeds of our cultural diversity. On this birth anniversary of Gandhi, who left us the legacy of “Swaraj”- self-organised freedom and “Satyagraha”- the force of truth, we celebrate a worldwide Seed Satyagraha renewing our commitment to civil disobedience against unjust seed laws. On this day we honor our seeds, for they are inseparable from the earth, the land, and the soil which are the basis for a new living economy. Join the various movements that are protecting our planet, and sow seeds of hope to create new economies as co-creators and co-producers with the Earth. 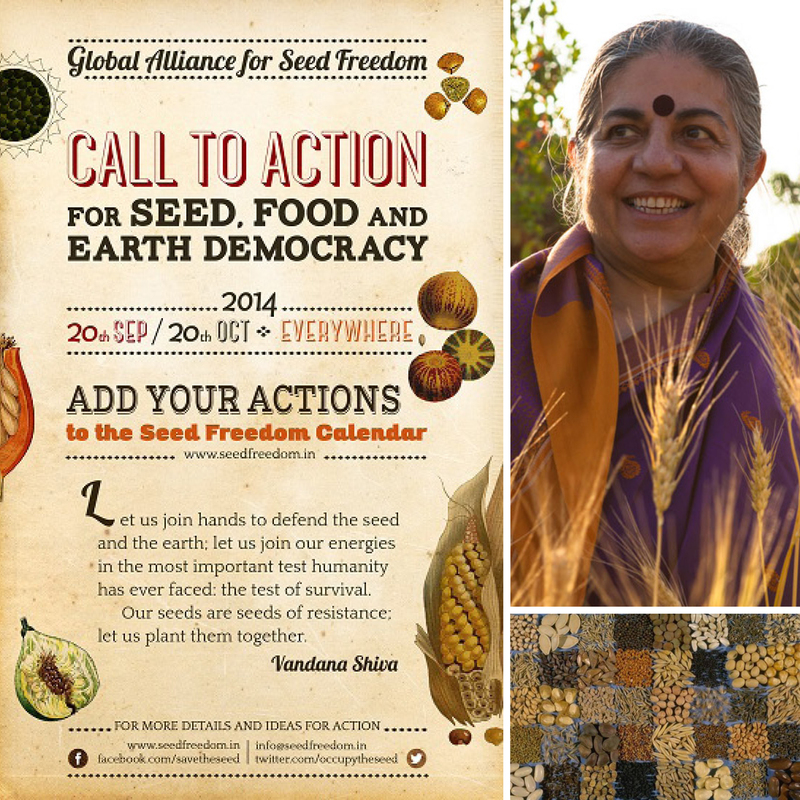 Let the world know that Seed Freedom is the basis of Food Freedom and Food Sovereignty, versus corporate-controlled agriculture that has dramatically increased the price of food all around the world. Let the world know that agroecology is a far more sophisticated and holistic science of agriculture than biotechnology. 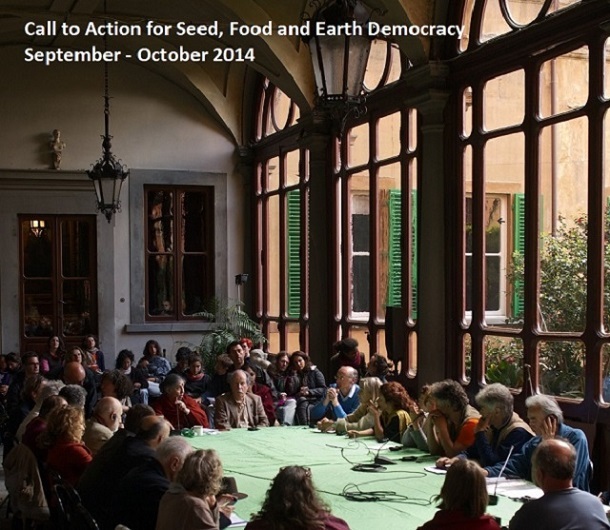 Demand farmers’ rights to save and exchange seeds, and citizens’ rights to know and choose what they eat, as the founding principles of food democracy. This entry was posted in GMO Information and tagged genetically engineered food, GMO, seed freedom, seed saver, vandana shiva by GMO Awareness. Bookmark the permalink.